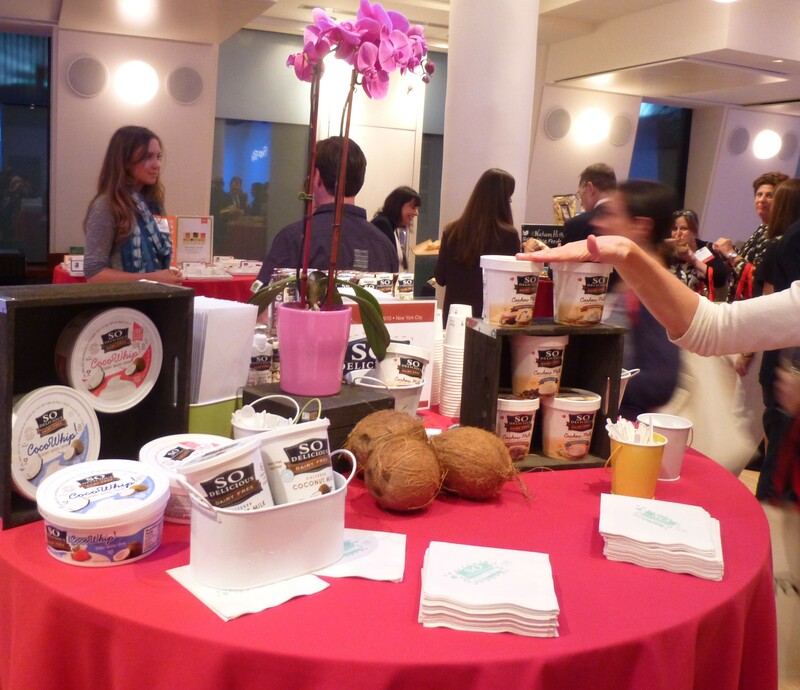 Food Fête Spring 2015: Health & Wellness Showcase Recap! An Array of Natural Flavor Ingredients in Cabo Chips (Reviewed Below). All Photos By Gail. 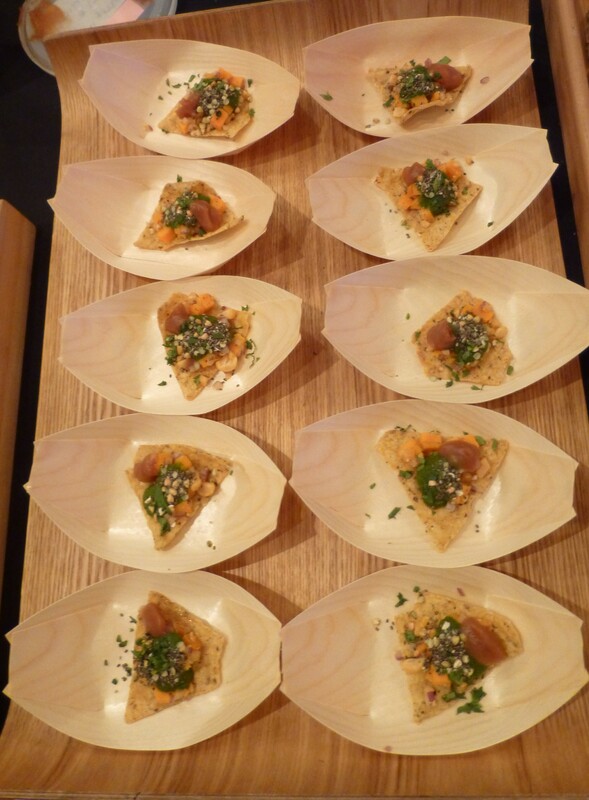 Making the scene at a Food Fête Health & Wellness event is always a good time, because attending one means getting more than a dozen delicious chances to discover ways in which eating smarter tastes fantastic. Check out our favorite products — from snacks to breakfast to meal mainstays — from this Springtime showcase! We never get bored of new ways to do a tasty Tortilla chip! Born on the beautiful beaches of Baja, Mexico, Cabo Chips 100% whole grain classic cantina style tortilla chips are inspired by the boldly vibrant atmosphere of Cabo San Lucas. A delicious fusion of the old and the new, these all natural chips are cooked the traditional way – cut from fresh tortillas that are batch cooked for a true cantina crunch! Cabo Chips use only real ingredients (see top photo) — no “flavorings” — for authenticity you can taste. 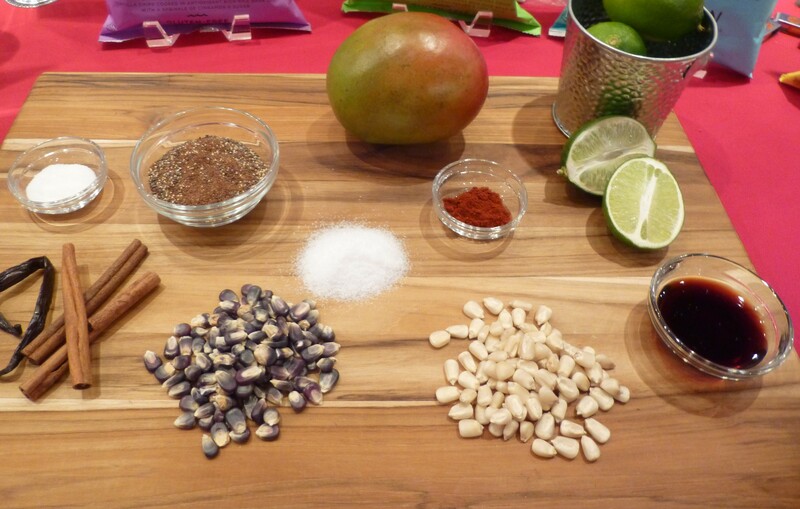 At Food Fête we had the chance to taste the four popular varieties — Original, Blue Corn, Mango Chile Lime and Churro (sweet!) — plus something new. 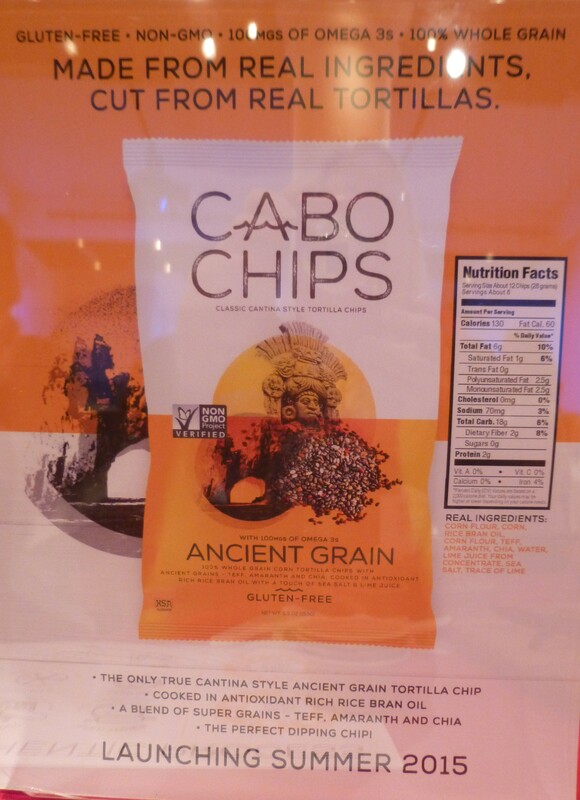 Watch for Cabo Chips Ancient Grains to hit stores in Summer 2015! Gluten Free, Non-GMO, Kosher and 100% Whole Grain, find out more about Cabo Chips at This Link! 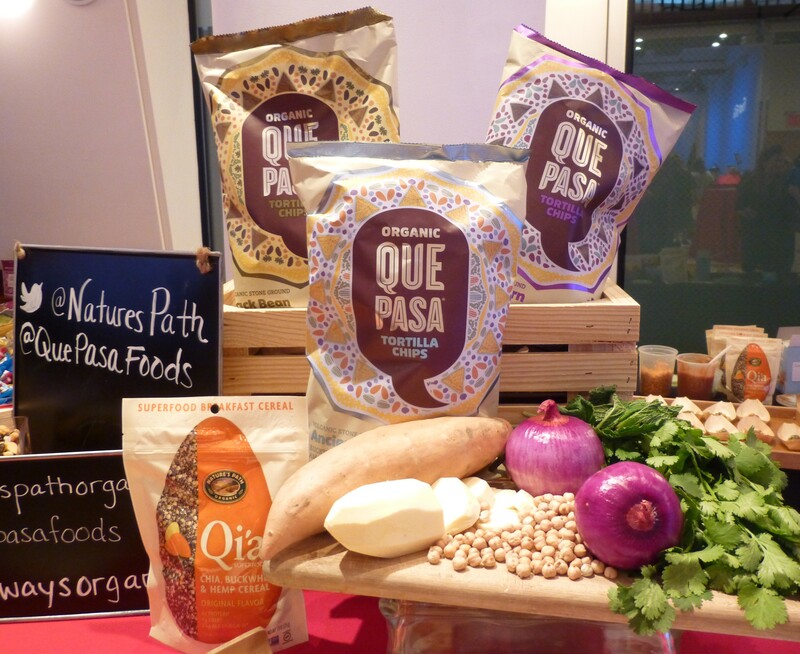 A shared booth from two organically inclined exhibitors showcased Que Pasa Foods organic Tortilla Chips, and Nature’s Path Organic brand’s Qi’a Superfood Breakfast Cereal and Bars. Qi’a Chaat (above) is a refreshing snack made with Que Pasa Tortilla Chips topped with a mixture that includes Qi’a Superfood cereal combined with Garbanzos, Sweet Potatoes, Mint Chutney and other flavorful ingredients — really delicious and easy to prepare! Get this and other creative recipes at This Link. Need a quick energy boost? 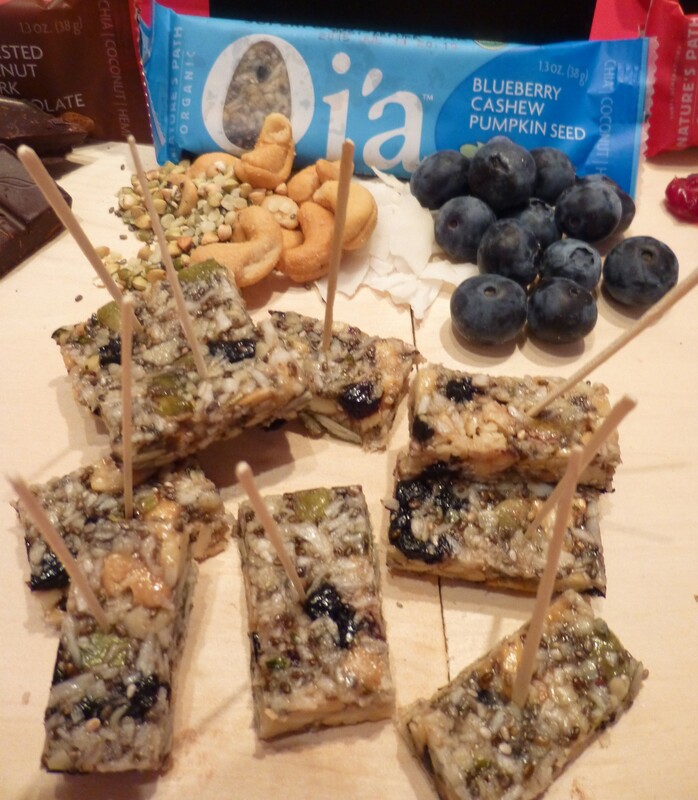 Qi’a Bars come in five unique flavor combinations, including Blueberry Cashew Pumpkin Seed. Creamy and crunchy, this “superfood” snack bar features protein-packed nuts and seeds with antioxidant blueberries for a refreshing sweet-yet-tart flavor. They look pretty good, don’t they? 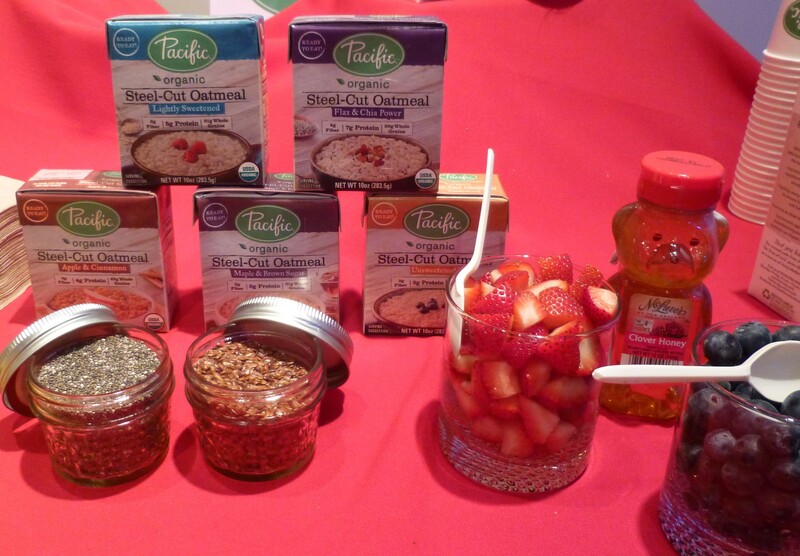 Visit Natures Path Dot Com for more information on their family of delicious organic foods. Navitas Naturals (“Food For The Modern Life”) is another company promoting a line of “Superfoods” that help keep the body running strong. The mission of Navitas Naturals is to provide the finest organic superfoods that increase energy and enhance health. 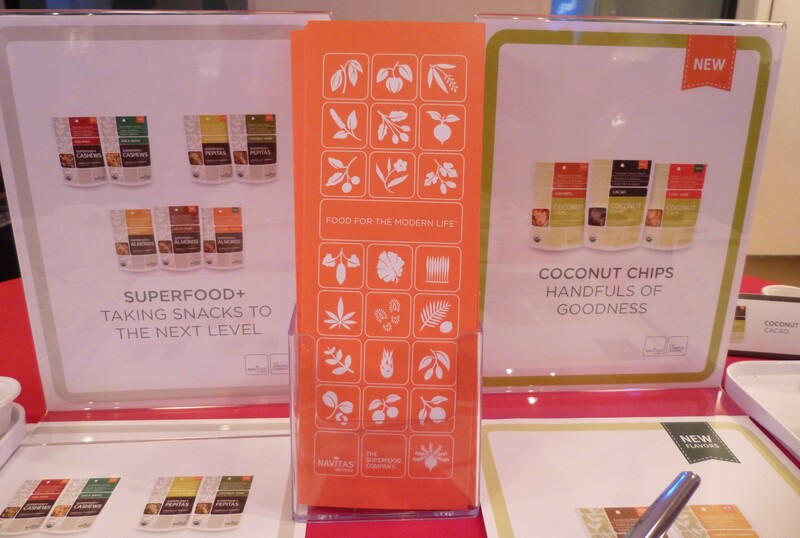 Their organic, non-GMO products include packaged nuts, seeds and dried fruits, Goji Berry and Acai Berry Powders and a line of unique chip snacks, such as their Coconut Chips, featured at Food Fête. 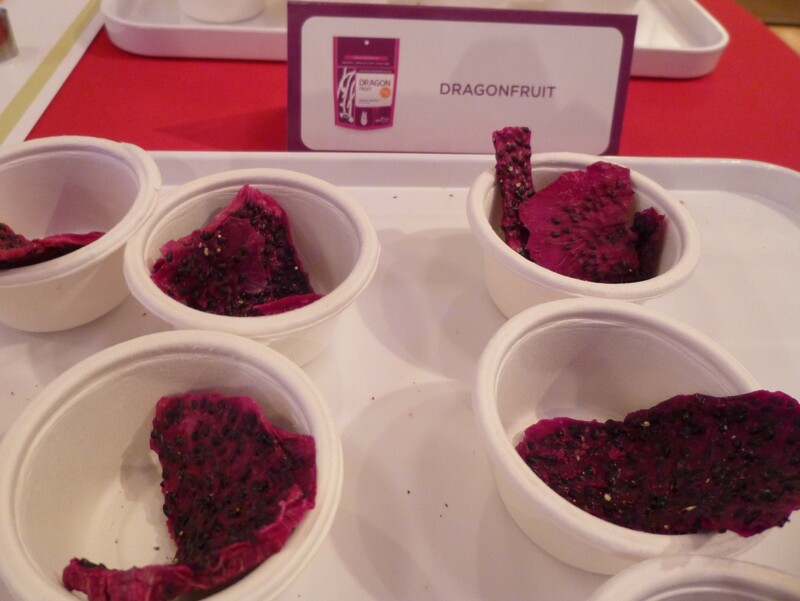 And who else is packaging a Dragon Fruit Snack? Answer: No One. Explore the many and exotic offerings of Navitas Naturals at This Link! For on-the-go Breakfast eaters who crave something warm that’s also super convenient, Pacific Foods is introducing the first ever ready-to-eat Steel-Cut Oatmeal. Packaged ready to heat and enjoy, with no need for additional ingredients, Pacific Foods Steel-Cut Oatmeal is cooked in small batches for a homemade taste and hearty texture. Show attendees had the chance to try it for ourselves with variety of toppings, including honey, flax seed, and fresh berries. This hot cereal tastes as good as slow cooked oatmeal made in the best rated slow cooker, and blows instant away completely! This product has a 24-month shelf life and is available in a variety of flavors to suit every taste. 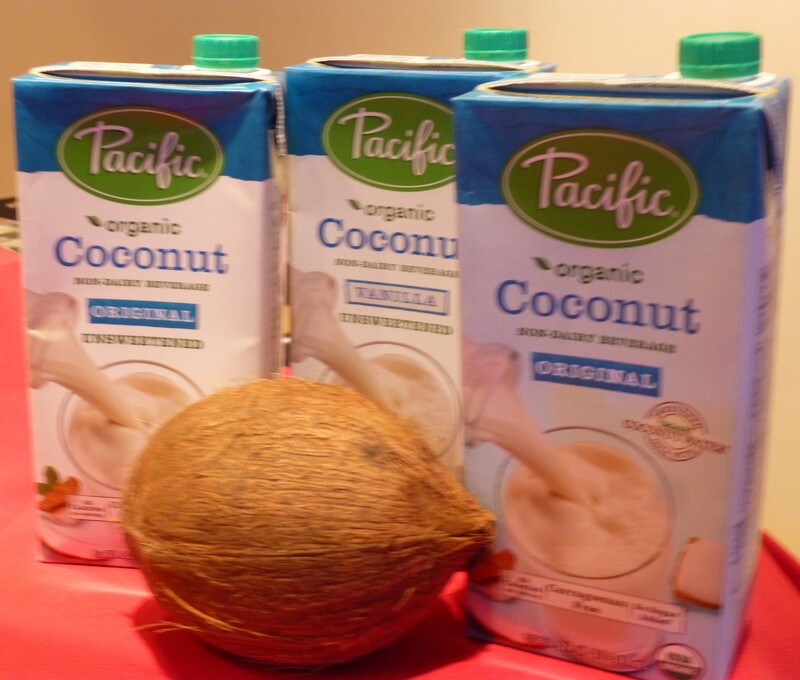 Pacific Foods also offers an extensive line of non-dairy beverages, including Almond, Cashew, Rice, Soy, Hemp, and super-hydrating and versatile Coconut beverage in Original (sweetened and unsweetened) and unsweetened Vanilla flavors. Find out about Pacific Foods‘ broad range of organic, specialty food products at This Link! Speaking of healthy, natural beverages, it doesn’t get much better for you than pure, delicious water! 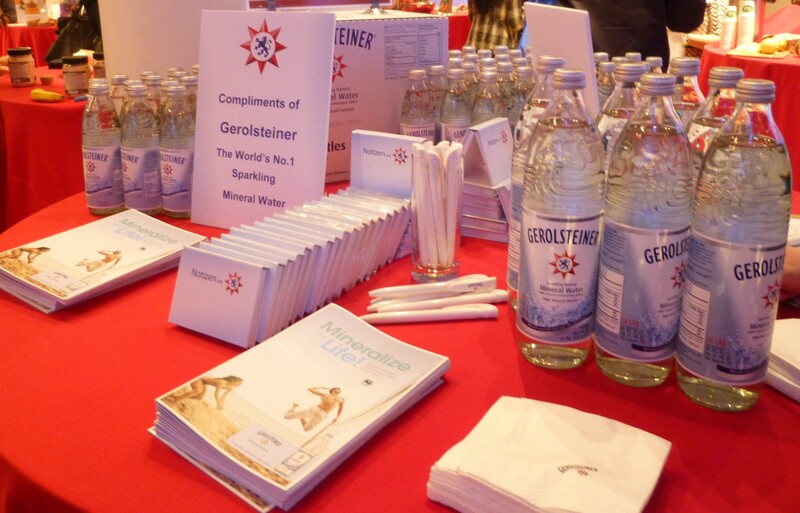 Gerolsteiner is a premium sparkling mineral water, which has the proud distinction of being the most popular mineral water in Germany — and you know how much we love the Germans! Here’s a bit of the fascinating backstory on Gerolsteiner, which originates from a region in Germany known as the Volcanic Eifel that possesses unique geological character. Thanks to the special combination of carbonic acid from prehistoric volcanic activity, and dolomite rock — known for its rich mineral content — a Mineral Water of the highest quality evolves. As the water finds its way through the various layers of rock, every drop of Gerolsteiner becomes naturally carbonated. This is an important process, as the carbonic acid allows the water to absorb the precious minerals and trace elements from the dolomite rock. Fascinating! We sampled a bottle of chilled Gerolsteiner and it is indeed very heavily carbonated with a clean, refreshing taste. We think it would be ideal also for making natural sodas by adding a syrup like Ribena! Get hip to Gerolsteiner at This Link! It seems like we are seeing So Delicious Dairy Free at many food shows these days, showcasing innovative new additions to their already impressive roster of non-dairy foods. Lactose-free living never tasted so amazing. 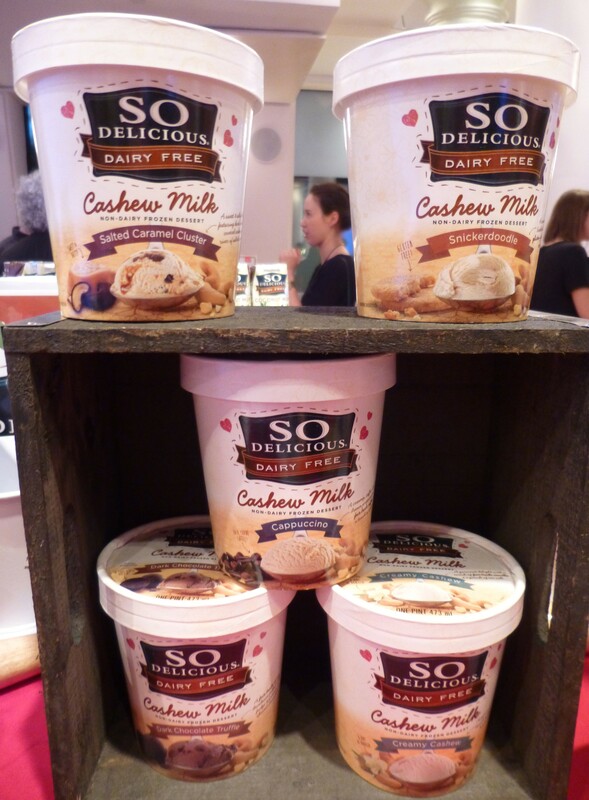 At Food Fête, attendees had a chance to sample what we at The Gig consider to be the smoothest, creamiest, most decadent frozen dessert So Delicious has yet introduced: Dairy Free Cashew Milk Frozen Dessert. Wow! This stuff is fantastic! Even better, all So Delicious cashew milk products are soy-free, gluten-free, and Non-GMO. This dessert comes in five craveable flavors including Dark Chocolate Truffle, Salted Caramel Cluster, and Snickerdoodle. Yum. 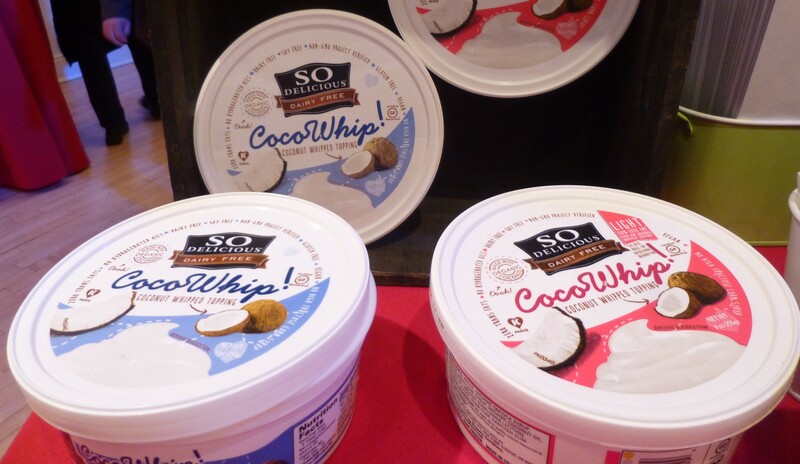 And as we all excitedly gathered ’round for a sample bowl of this delicious Cashew Milk thing, we made sure to top it off with a dollop of So Delicious Coco Whip whipped topping, made with 100% natural Coconut (as opposed to its closest competitor, Cool Whip, which we secretly suspect to be a petroleum product). Explore the splendor of So Delicious Dairy Free products, and download money saving coupons, at This Link! Hey you know what’s annoying? When you open a jar of peanut butter and there’s all this oil that’s separated from the nut butter part, and it’s just floating around on top. So, you have to take a knife and mix it all up again to get a proper consistency. I hate it when that happens. Imagine how convenient and un-messy it would be if Peanut Butter came in powdered form and you could just add water to create your desired, small batch consistency? Well, stop imaging, because it already exists, in the form of BetterBody Foods PB Fit – powdered peanut butter in a jar! PB Fit is packed with delicious with peanut flavor, but has only 1/3 the calories of traditional peanut butter and 75% less fat. It’s Non-GMO and all natural, with only 3 ingredients (peanuts, sugar, salt), plus it’s a good source of protein and fiber. 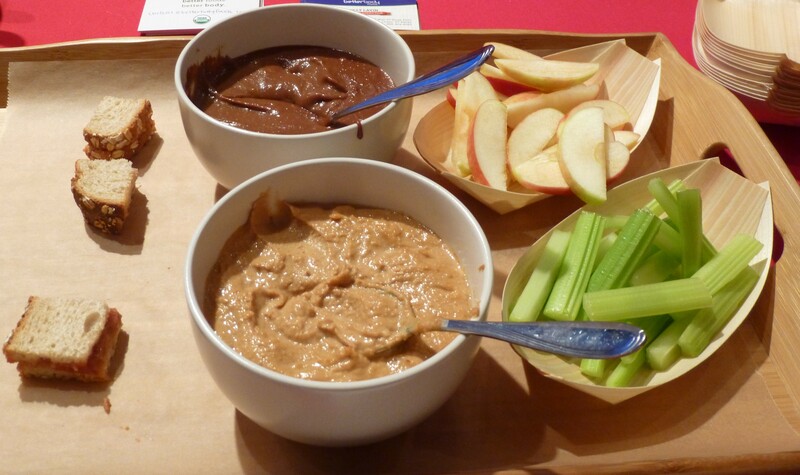 Just mix 2:1 with water to make peanut butter, or add dry into smoothies, baked goods and sauces – so versatile! Also, it comes in Regular and Dark Chocolate flavors! Crazy! 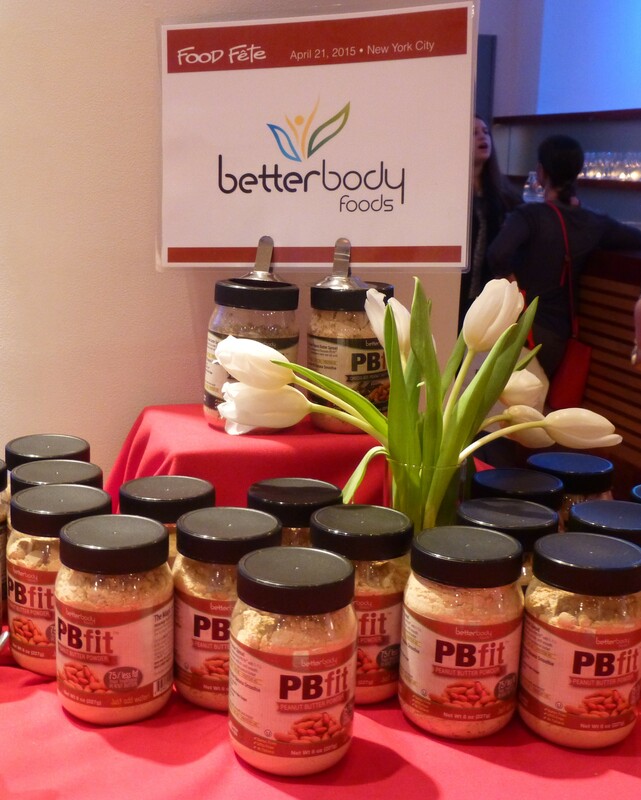 Find out more about BetterBody Foods‘ product line, and get recipes using PB Fit Powdered Peanut Butter, at This Link! Oh my, are those Breakfast Cupcakes? Well, yes. Yes they are. These little morsels of awesomeness are called For Goodness Cake! Breakfast Cupcakes, made with frozen mini waffles, cheese, eggs and Jones Sausage, topped with a cream cheese icing. This delicious recipe took home the grand prize in Jones’ 2014 Rise, Sizzle & Shine Breakfast Recipe Contest. The entry deadline for this year’s contest is July 31st, 2015. For more information and contest rules, visit This Link!. 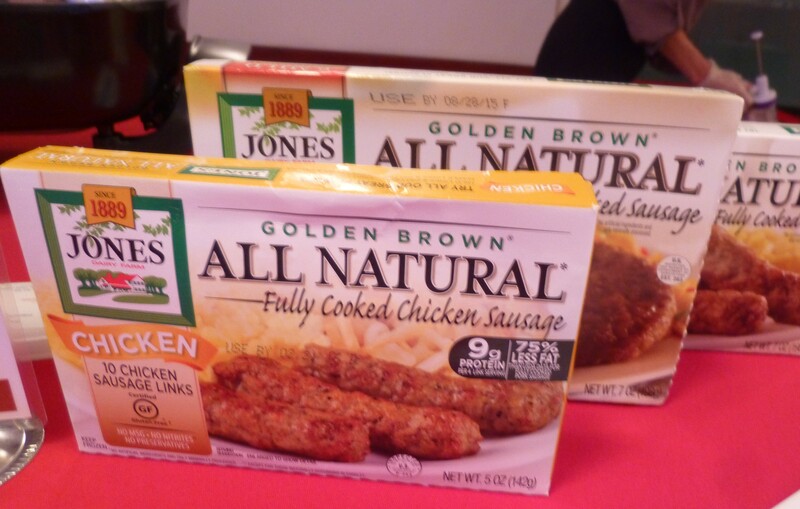 And stay tuned to The Gig for more on Jones Dairy Farm meat products, because they just sent us some tasty samples! If the concept “Whole Grain” White Bread sounds like an oxymoron to you, you will want to investigate Nature’s Harvest line of Whole Grain Breads that includes a new soft White, which has the kid-approved taste and texture we all get nostalgic for. 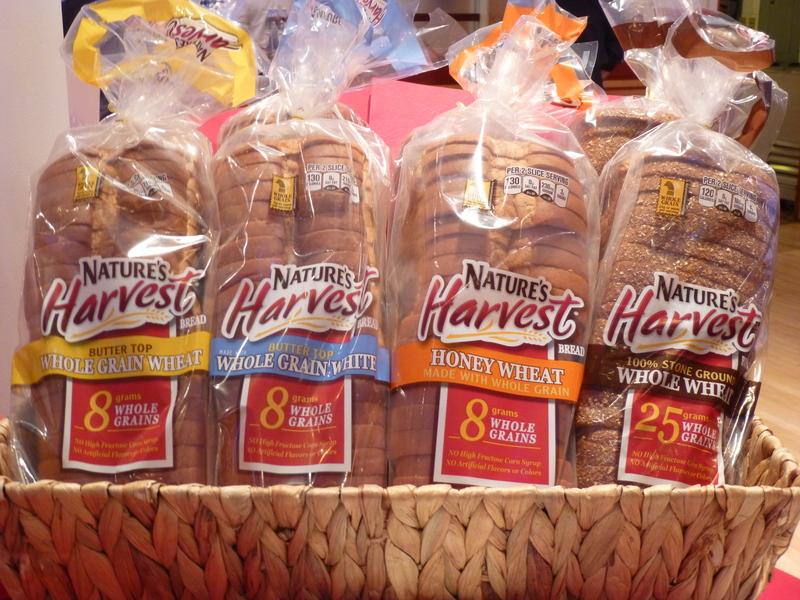 Nutrition-wise, Nature’s Harvest breads contain 8g of whole grains per serving, provide a good source of calcium, and vitamins A, D, and E, with no high fructose corn syrup, an artificial colors or flavors. Most importantly it tastes delicious! 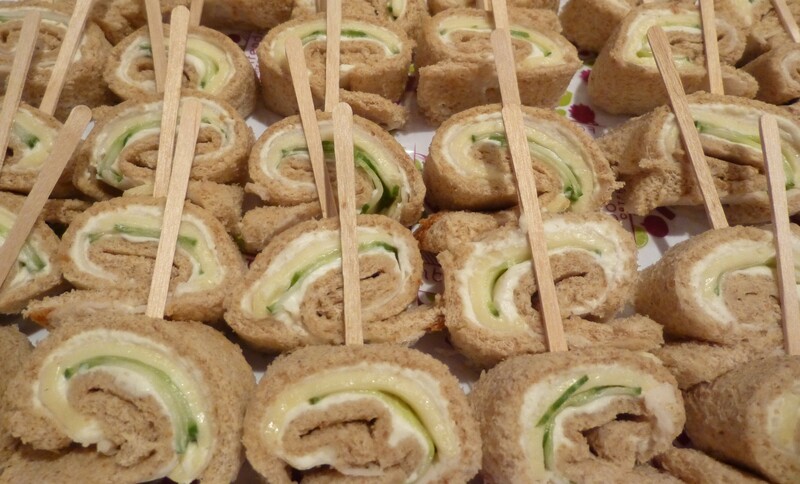 It’s also great for making these tasty Pinwheel sandwiches that are such hit at parties and gatherings! Get that recipe, plus lots more information by clicking over to Natures Harvest Bread Dot Com. 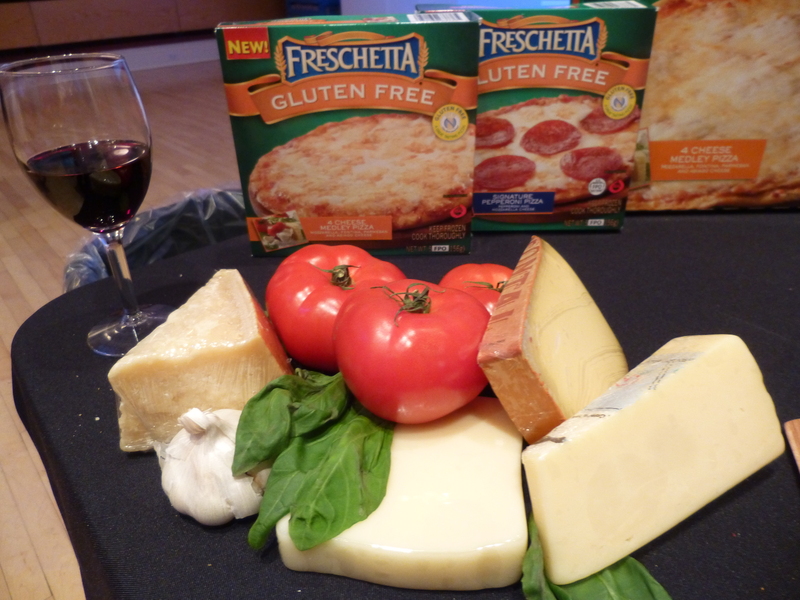 Freschetta believes that frozen pizza shouldn’t simply taste better; it should be better. So Freschetta frozen pizzas are made with all-natural 100% real cheeses, premium meats and crunchy vegetables and flavorful sauces. 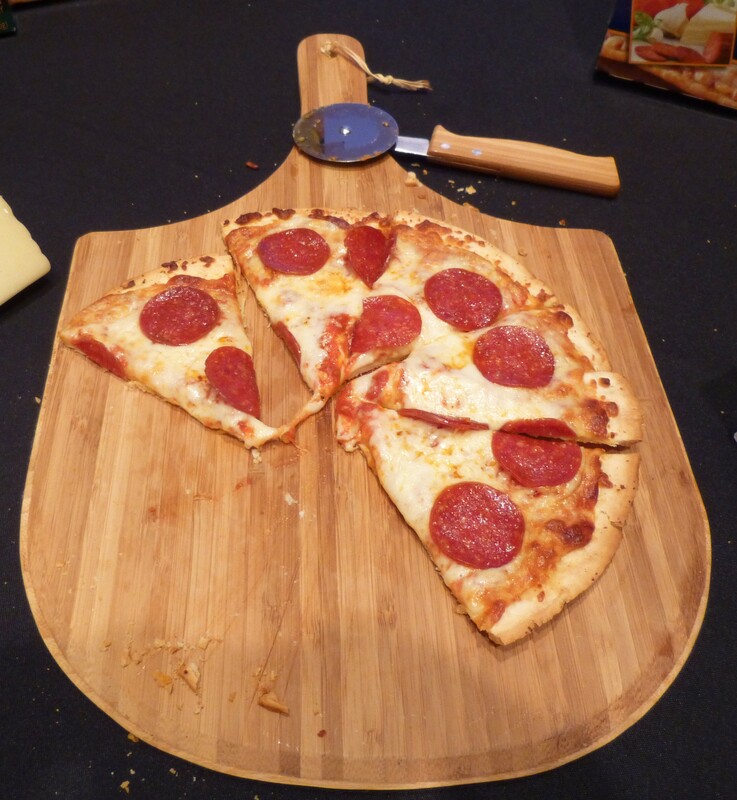 The taste and texture of pizza crust is especially important when speaking about gluten free crust. 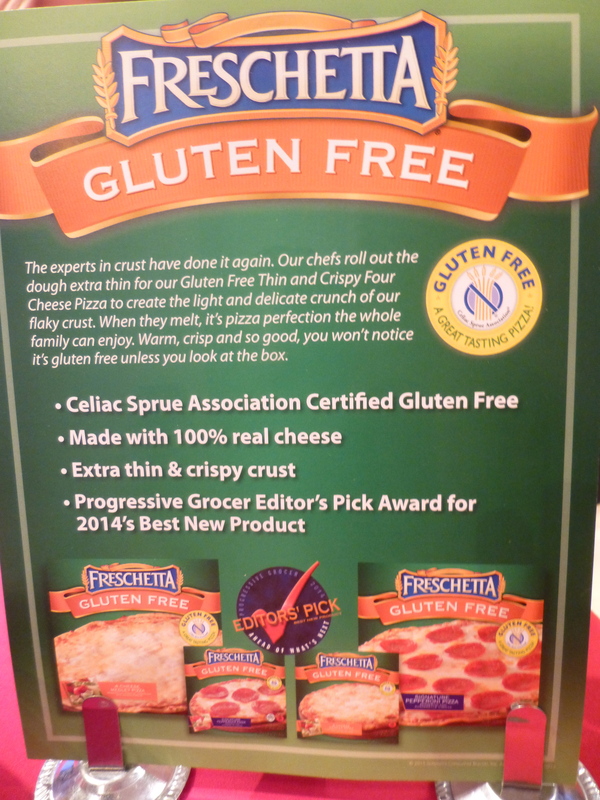 We are happy to report that Freschetta’s gluten free pizza has a crust that’s delicate and flaky – possible the best we’ve tasted. If you think this looks delicious, wait until you taste it. Get more information at Freschetta Dot Com! 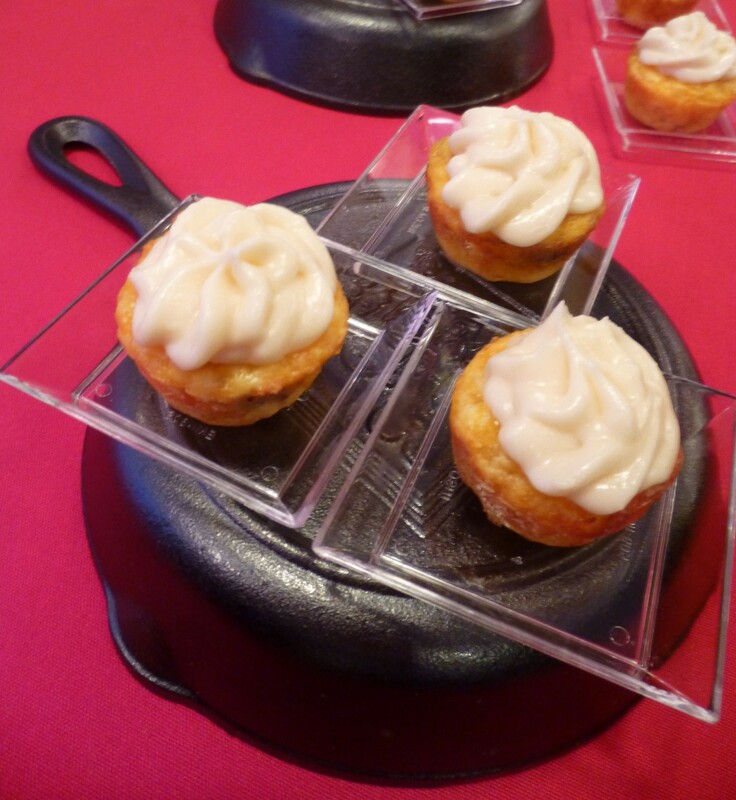 See you in June with the next Food Fete recap! Breakfast cupcakes! Blueberry cashew pumpkin seed Cabo Chips! I can’t wait to buy these products. Thanks for the head’s up.